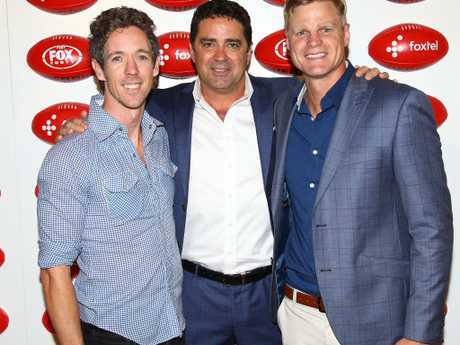 FOOTY legend Garry Lyon says it "shatters" him to hear rumours that 16 AFL players have dodged drug testing by using a mental health loophole in the league's controversial illicit drugs policy. An unconfirmed report on Wednesday claimed 16 players from the same club were secretly excluded from drug testing because of a claimed mental health diagnosis. 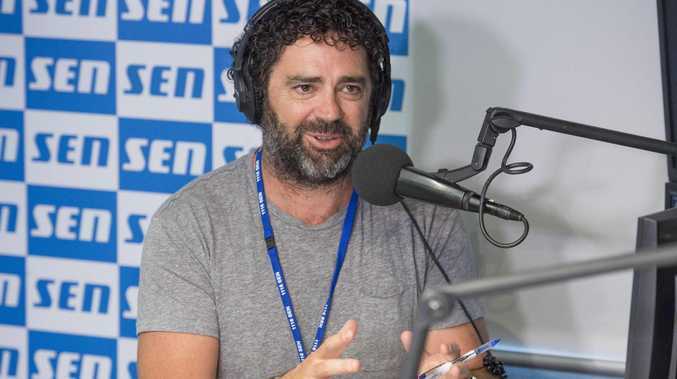 The issue erupted on Wednesday following former St Kilda coach Grant Thomas's revelation that he had recently been told that drug use was "rife" at his club during the early 2000s. 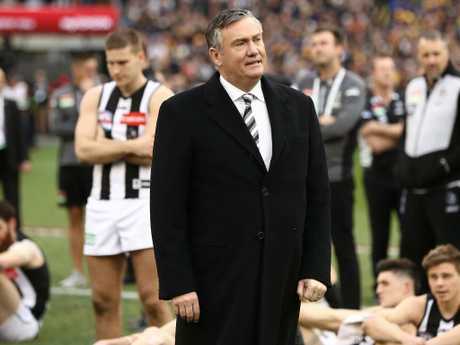 That led a series of senior AFL club figures, including Hawthorn president Jeff Kennett and Collingwood president Eddie McGuire, to hit out at the AFL's handling of the issue and the controversial illicit drugs policy. The policy allows players to remain anonymous, even to their own club, when a first strike for a positive illicit drugs test is recorded. 3AW Radio's Ross Stevenson said on Wednesday it had been confirmed to him 16 players from one AFL club had used mental health as an excuse to avoid drug testing. "There is indeed one AFL club that has 16 players on its list who have registered as having mental health issues, which means that they cannot be randomly drug tested for illicit drugs," Stevenson said. The concerning allegations that players would stoop to that level to avoid testing concerned Lyon. 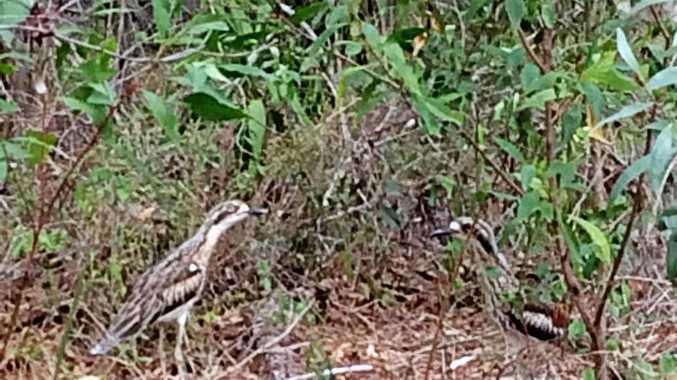 "That shatters me to hear that," he said on SEN Breakfast. Garry Lyon didn’t like what he heard. "I know we spoke about it yesterday and I was short with you because it's a subject close to my heart and I'd hate to think that it happens - clearly it does. "Jeff Kennett thinks that is just the most appalling abuse of one of the most serious illnesses and challenges that we've got. Kennett told The Herald Sun the AFL's illicit drugs policy was "a sham". "If people are using mental health as an excuse, that is an absolute abuse of the illness and the good work that is being done by so many to genuinely assist those with mental health issues," he said. "As president, I am still not informed about those who have had strikes - and I find that to be totally hypocritical and self-defeating. "If the AFL has a policy on drugs it should be enforceable and anyone who voluntarily puts their hand up to be a league player … should be prepared for the consequences." McGuire said the current system was "a vexed situation" because it prevented officials in clubs from knowing about issues and potentially providing support to players who needed it. AFL great and mental health advocate Wayne Schwass told SEN Radio on Thursday the illicit substance policy was open to abuse by some players. "I think that the system and the way it's currently being implemented and executed does leave gaps in the system for players to be able to exploit this," he said. "So in regards to what (the AFL) needs to do, it frustrates me greatly that there (could) be players using (mental health) as an out-clause, because that puts every other player who has legitimate mental health conditions in the same boat and they're not in the same boat. These are really complex issues." He said AFL clubs needed to be aware of the behaviour patterns of their players and it was only AFL clubs that could possibly investigate any potential false claims of mental health issues. "If there are players that are saying they're dealing with mental health conditions as a way of getting out of any punishment or any responsibility for taking illicit drugs, I'd like to think there's a pattern of behaviour - there are certain things with regards to a player's behaviour that would indicate that they are potentially living with mental health conditions," he said. "But if there's no history of a player who has actively sought out professional support internally or externally and then all of a sudden they've used mental health in regards to getting out of a punishment, that would be a red flag that I would want to investigate." The illicit drugs code started in 2005. It is a voluntary agreement by the players with the AFL. It is separate to the standard anti-doping policy. The policy was revised in 2015, with tougher penalties and players named after their second strike, not the third. Meanwhile, St Kilda great Nick Dal Santo said it was "annoying and frustrating" that he and his former teammates had been forced to defend themselves following allegations this week that drug use was"rife" at the St Kilda Football Club during the coaching tenure of Grant Thomas. In his podcast, the ex-Saints mentor opened up about how, shortly after he finished his tenure in 2006, he was "devastated" when one player told him about what had allegedly happened under his watch. "I would've had a suspicion of one or two, but no more than a week or so after I finish, one of the players, he told me what had actually been going on, which basically devastated me," Thomas said on Sam, Mike & Thommo. "He said that it (drug use) was rife - a lot of them. "Some of the players that were mentioned could've dropped me." Dal Santo responded to Thomas' comments on Wednesday afternoon, suggesting it was irresponsible for his former mentor to make such a broad statement that could inaccurately be linked to so many former players. "I am just as shocked that he's even going to suggest that it was rife within that playing group, but then not follow on," Dal Santo said on SEN Radio.